The painter and sculptor Miriam Rylands remembers what she saw during the 1st National Biennial of Plastic Arts of Bahia. "The Biennial of 1966 was part of my story ", says artist Miriam Rylands. She paints, edge and sculpts. Makes Monotype, woodcut and ceramics. She has exhibited in the U.S., lived in England and participated in a sewing scenic course in Bahia. Only this minibiografia was enough for the artist Miriam Rylands to be mentioned by Biennial of Bahia. But the main reason is heir childhood memories. In 1966, Miriam had little age to understand art, but enough sensitivity to fall in love for art. With 10 years, living in Santo Antonio Além do Carmo, in the Historic Center of Salvador, she saw nearly all the 'buzz' of the 1st National Biennial of Plastic Arts, who won the main hall of the Convento do Carmo, neighbor's home. The arrival to the exhibition was by chance. A year before the opening of the art event, She began a course of cutting and sewing on the dependencies of the Convent. The curiosity about this new world that opened right before her eyes made Miriam secretly leave her mother and rummaging through all the inputs and outputs of the local. "Once the door to the hall was closed and no access. As I already knew the place, I get in and see a lot of things: those large pieces, of Metal and Iron, where I hid when someone came. It was striking to me because after, when I went to other biennials, this remembrance came in memory ", recalls her, who has visited the events of São Paulo, USA and England, among others. ArtWork of Hélio Oiticica was one of that Miriam hid herself. 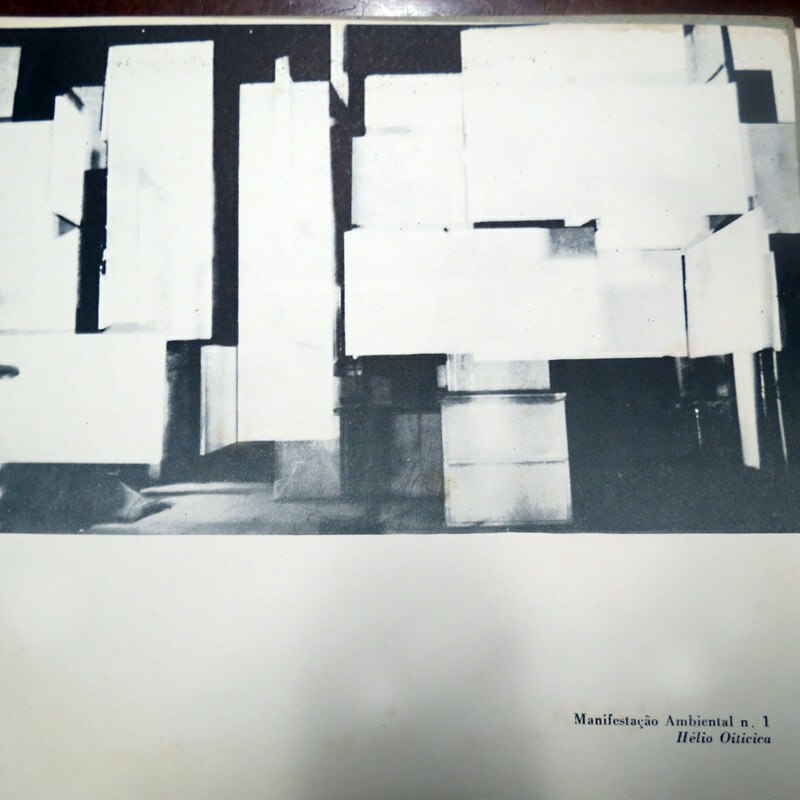 Possibly, one of the artworks that served as a hiding place for Miriam was of the artist Hélio Oiticica, called "Environmental Manifestation n. 1”. Composed by tissues, the artwork attracted the curiosity of visitors, as they could interact with it. 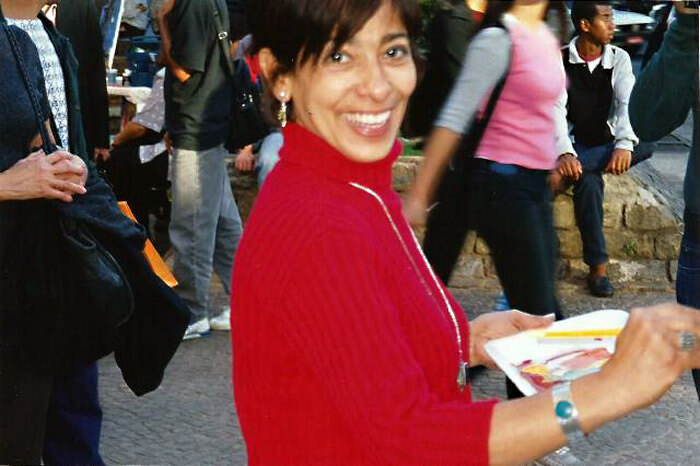 Over the years, Miriam became a painter, sculptor and jewelry designer. And, as she reveals, a lot of her artistic choices were influenced by the experiences of the past. 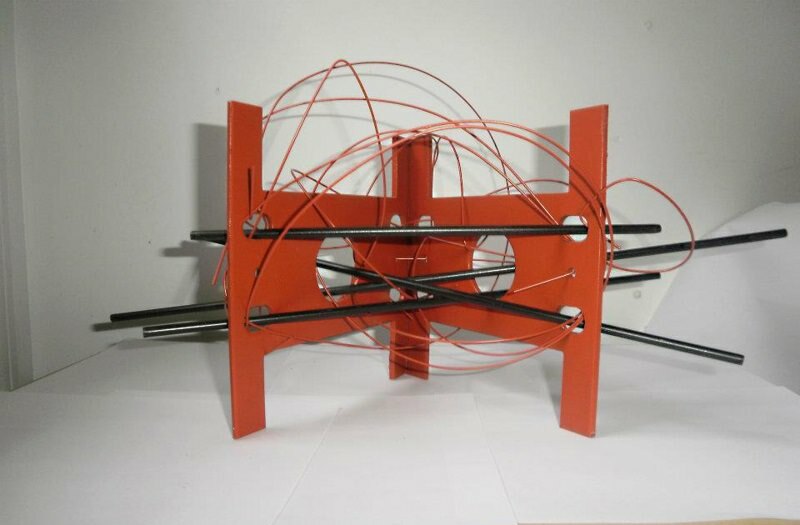 Today painter and sculptor, Miriam shows her artworks. In the photo, a sculpture of iron and copper. "I do not know if it was half inconscious, but it sure was part of my story until today. I'm expressionist, then all that I do is very free, and the images of those artworks are in my head. I can not identify parts, but feel the presence of images, which were very strong", emphasizes the artist. This Brushstroke was a reproduction of the matter – "The Biennial of 1966 was part of my story ", says artist Miriam Rylands – posted no WebSite of Biennial of Bahia in 07/03/2014. Our thanks to Department of Communication of the website. Miriam Rylands is a Visual Artist.